Here we are some seven months since the Leopard launch weekend and I have my first 100 points of West Germans completed. A lot has happened since then, we’ve released Iron Maiden and Volksarmee, but I have managed to stay relatively on target despite these distractions. I did stop to paint a few more bits for my Soviets, but I’ve been mainly focused on getting these guys done. So what have I painted? Surprisingly I’ve managed to stay close to my plan outlined in part one. 1x Leopard 2 - 11 points. 3x Leopard 2 - 33 points. 3x MG3 team with Panzerfaust 44 anti-tank rocket. 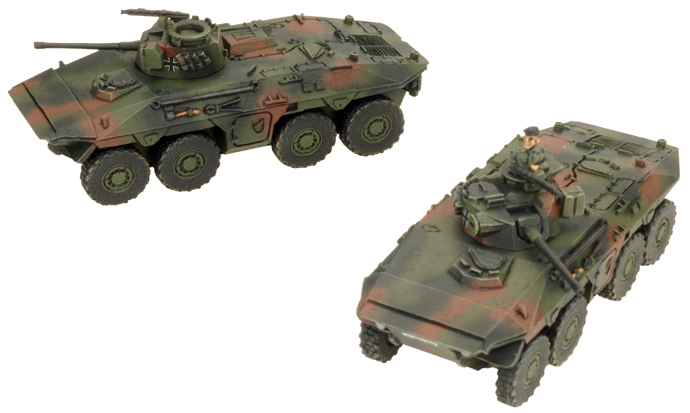 3x Marder - 7 points. 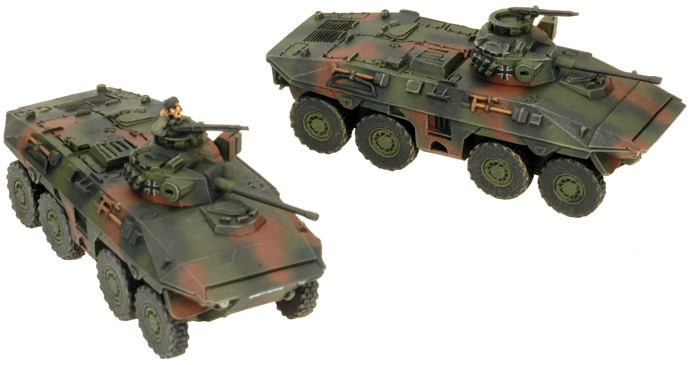 2x Luchs - 1 points. 4x Gepard - 10 points. 2x PAH - 8 points. So I’ve gone over my 100 point target, but haven’t painted the Fliegerfaust Gruppe yet. However, I’ve painted an extra two Gepards and an extra two Luchs over my initial target. 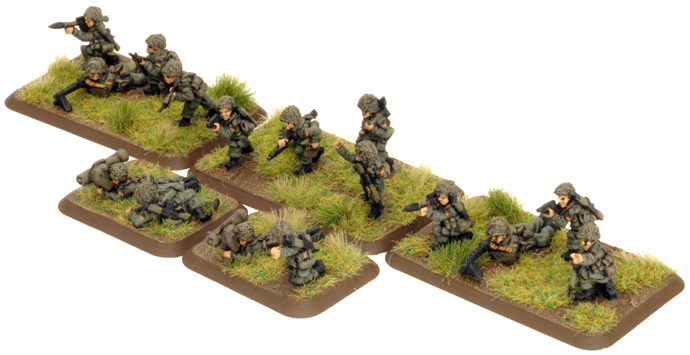 I painted them all in 3-colour NATO camouflage using an airbrush. I tried to follow the pattern as closely as possible using photos from books and online as a reference. Next, I plan to finally get the Fliegerfaust Gruppe done before moving on to some more panzergrenadiers. I’ve assembled another four Marders and plan to make the panzergrenadiers into a formation of their own. I’ve also got another three Leopard 2s assembled. I plan to add Panzeraufklärungs Kompanie, for which I’ve assembled some Fuchs and Leopard 1 tanks. 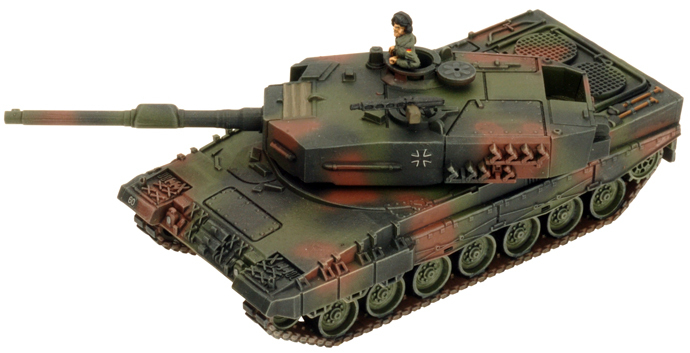 I’ve put together a Jaguar 1 Jagdpanzer Zug as well, likely to support the panzergrenadiers. I still need some artillery, but I haven’t decided what yet. Anyway, I hope to have another update in a few months’ time.